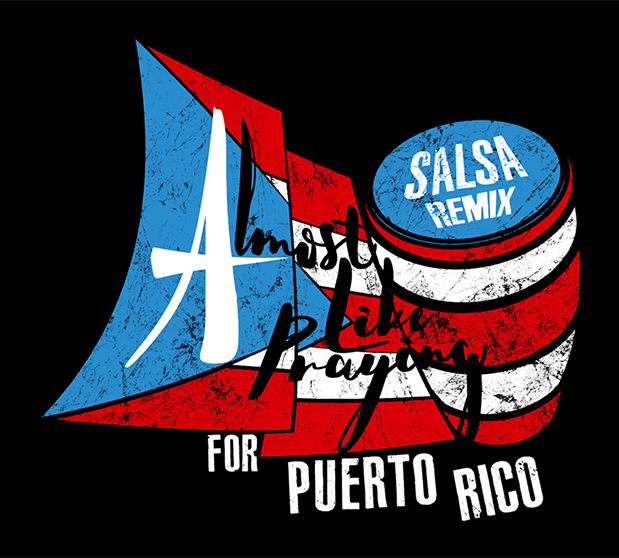 Hamilton's Lin-Manuel Miranda releases Salsa remix of ALMOST LIKE PRAYING. The all-star benefit single was released last fall to benefit hurricane relief and recovery in Puerto Rico. For my redesign of Lin-Manuel Miranda's benefit song Almost Like Praying, I added a barril or bomba to the original artwork I created. The barril is a distinct Puerto Rican instrument. It is the lead instrument of, and shares its name with bomba, a Puerto Rican genre of dance, drumming, and singing that has West African roots. Bomba is also the inspiration for the creation of salsa music.